This post is an off-topic. Well, kind of. Today, I want to invite you to a new secret group! Don’t worry, there are no sales pitches or anything like that. On the contrary, this, as I see it, is an opportunity to take more control over your life and live to the fullest. An offer like that should never come with a price tag. For the past few years, I wanted to be the kind of guy who wake up in the morning, drinks a glass of water, work out for an hour, then have a healthy breakfast. Yup, all that before even checking emails. Yesterday, I did just that. For the first time ever. I got up, I checked my Twitter feed and saw a link to Google’s, Matt Cutts, TED talk about trying something new for 30 days. I decided to listen to Matt’s talk while doing a work-out before starting off my work day. As I listened, I got excited. 30 days is a reasonable amount of time to try something new, even just for the sake of trying it, and doing this work-out health breakfast thing is something I passionately want to adapt to my daily routine for a while now. So why shouldn’t I try it? 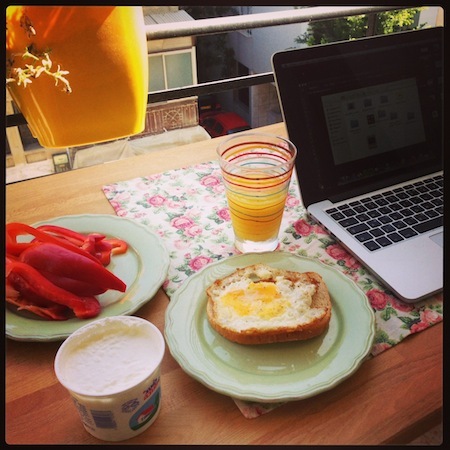 A 30 day challenge: get up, work out, eat a healthy breakfast, and get to work. I finished my work out and made myself a quick breakfast to start my day (as promised). I took a picture of my modest meal and uploaded it to my Facebook profile telling the whole story behind my new challenge and asking my Facebook friends to share what their challenge might be. I got about 20 comments from friends. The numbers were small but it seems like their discussions were passionate. At that moment, I remembered a post / newsletter by Chris Brogan saying “just go ahead and start something”. So I did. I set up this quick Excel sheet describing the 30 Day Challenge and posted it on my status comments for people to download. It got 30 downloads in an hour. Which for me is interesting. 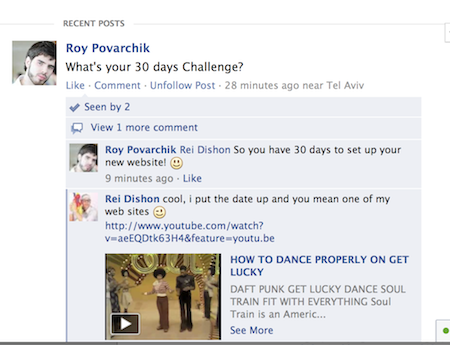 So I opened up a Facebook group called ‘The 30 days challenge‘. And that is what I want to invite you to. This group is brand new. I didn’t add many people yet (I would rather people ask to join than force them to join.. obviously). This is what the group is about: Group members choose their own 30 day challenge and we support each other in committing to it and suggest new challenges we can take each month. I love this idea because I think 30 days is not too long to commit to something and even ‘forcing’ yourself to gain that habit. I also think it can really improve ones life and help us expand, explore and learn so many new things. With the help of the group it’d be more fun! What’s your 30 days challenge? Every 30 days you switch to something new. That way you get to do and experience tons of stuff you would’ve never tried. So what do you say? 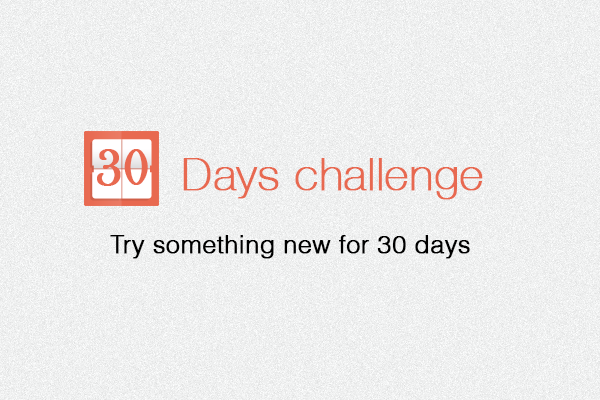 Join the group and let us know – What is your ‘30 days challenge‘?